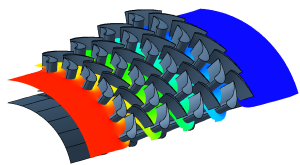 AMP offers a complete range of Computational Fluid Dynamics (CFD) simulation tailored to the customer’s needs. Our CFD consultants use comprehensive fluid simulation strategies, techniques and software packages that are best suitable for your domain of operation so that you can count on us for any CFD capability. CFD Analysis services undertake thorough fluid flow CFD analysis, from CAD data to design analysis, to design optimization. Our expertise in CFD Consultancy lies in performing Computational Fluid Dynamics Analysis for various engineering domains and fluid dynamics industrial applications, such as thermal incinerators, boilers, valves, heat exchangers, home appliances and many others. 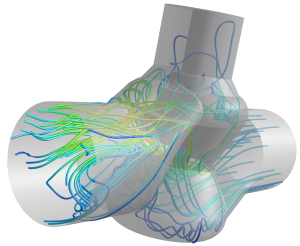 Both at preliminary design phase and at more advanced ones, fluid dynamic simulations such as CFD analysis enable to reduce costs, increase productivity and to speed up the design process in order to decrease time-to-market.